Greetings, readers! Today I’m very pleased to present an interview with Rich Baker, a man with a long and legendary pedigree in the world of roleplaying games. 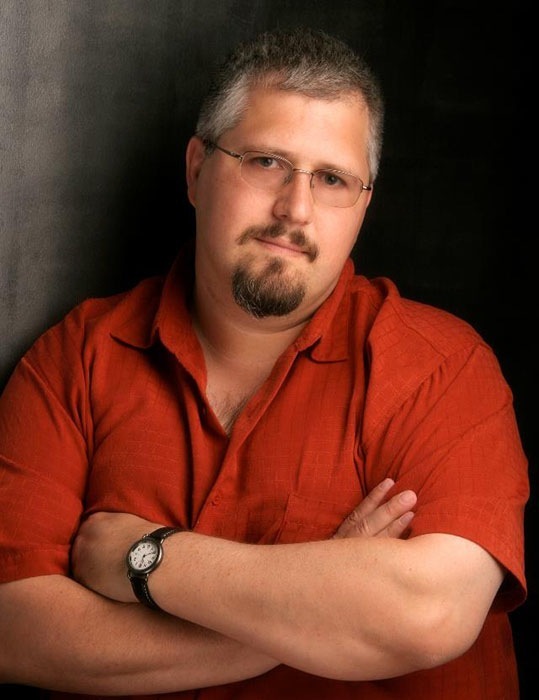 Rich’s career spans a multitude of game worlds, from Star*Drive to Dark Sun to the Forgotten Realms and beyond. I spoke a little about Rich back in my review of the Birthright campaign setting, and it is through Birthright that I personally first became aware of his work. Rich Baker: Man. Myth. Legend. Rich is also a novelist, and I will definitely recommend books like the Shadow Stone and City of Ravens for anyone who enjoys good fantasy fiction. However, my personal favorite is still The Falcon and the Wolf! I’ve made a point of speaking to Rich every Gen Con if possible — mostly to geek out about Birthright — but also because I’m honestly a big fan of his work. I want to extend my gratitude to Rich for agreeing to this interview, and I heartily suggest that anyone who wants to know more about Mr. Baker should check his out his blog at Atomic Dragon Battleship. And now, on to the interview! As always, my questions are in red. RB: I guess the easiest way to answer this is to tell you what I’m playing these days. I get together with a good group of guys on Thursday nights for D&D; I just agreed to step up and DM for a while, and we’re playing a multi-edition hybrid game set in the world of Birthright. (Believe it or not, I haven’t played a Birthright game in close to 15 years.) Before that, we played Saga Edition Star Wars, and before that, a long-running 4thEdition campaign. My Thursday night group includes noted WotC expatriates Steve Schubert and Dave Noonan—it’s a great table to play at. 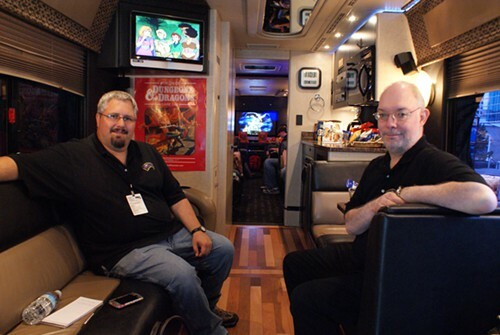 Rich Baker and Bill Slaviscek aboard the D&D Party Bus. No, I am not making this up. I also play a broad variety of boardgames when time permits. Some of the games we’ve played recently include Lords of Waterdeep, Mission Red Planet, Lords of Vegas, Axis & Allies (the anniversary edition), and Conquest of Nerath. Once in a blue moon I get a chance to dust off some of the old Avalon Hill or SPI titles—a few weeks ago I played Kingmaker, and a few months back I played Empires of the Middle Ages and Victory in the Pacific. I have a weakness for games with thousands of counters and huge hex maps, and I’ve been itching to play A World at War (the GMT update to Avalon Hill’s Third Reich and Rising Sun games). I had a small gang of co-conspirators at Wizards of the Coast who kept AWAW games going for years, but most of us are gone from the company now. Oh, and I play a lot of Civ 5, Eve, and Star Wars: The Old Republic. As a game industry pro, well, I’ve been lucky enough to work on the sort of games I like to play: RPGs, strategy and historical boardgames, and historical miniatures games. RB: I played D&D and wargames growing up, and loved ‘em all. In 1991, I finished up a 3-year stint as an officer on active duty in the Navy, and I started looking around for the next step in my career. I sent resumes off to dozens of companies… and as long as I was at it, I sent one to TSR Inc. for the pure hell of it. To my surprise, they responded by sending me a design test—a copy of the Complete Viking Handbook, and a request to provide a 2000-word writing sample based on that material. Well, I knocked out the sample encounter, and TSR liked it enough to bring me out to Lake Geneva for an interview. I started as a designer for TSR in October of 1991, and went on to spend twenty years with TSR and Wizards of the Coast. RB: Working with people who share your passion for games. First of all, it meant that there was always a game group running after-hours that I could hook up with, or a gang of people ready to commit a couple of weeks of lunch breaks to setting up a big sprawling boardgame. I got a *lot* of gaming in with twenty years at TSR and WotC. But working with people who share your love for games means that you strike up a number of great friendships, too. My vote for best 3.5 supplement of all time. RB: Unless you’re fortunate enough to land at one of the very few top companies, there isn’t a whole lot of money in it. If you’re entertaining the idea of making this your career, make sure you’re okay with that. It’s also a very small field, with a very limited number of positions or freelancing opportunities available. If you’re an accountant, well, there are a thousand companies you might consider working for. RPG designer? Not so much. RW: How has your perception of working professionally in the RPG industry changed over the last 20 years? RB: The business got more and more in the way of the creativity as time went on. After the initial success of 3rd Edition, the whole industry slowly contracted. Marginal companies went under, and bigger companies faced a never-ending spiral of trying to do more with less. Each individual release had more and more riding on it, and the business teams became less and less willing to take chances. When I first started at TSR, we were publishing close to 100 RPG titles a year. You could do idiosyncratic, wildly creative things, understanding that if it tanked, you weren’t going to sink the whole line. Over the last few years, WotC has been publishing more like a dozen titles a year, and they’re subjected to a brutal evaluation process to ensure they’re only producing the titles that have the biggest possible upside. In retrospect we know that TSR’s business model was unsustainable, but those were happier days. RB: From the publisher’s viewpoint: Hey, freelancer, do your work on time and write to the specs. Don’t run weeks and weeks over, and don’t give me 50,000 words when I wanted 20,000 (or vice versa). Nothing else happens until we get a manuscript in hand, and it’s more or less about the size we wanted. Almost as important, accept direction and don’t be difficult to work with. I dropped freelancers off my list every year because they’d argue with me about the direction I needed their manuscripts to go. One of the best adventures for D&D 3.5, go check it out! From the freelancer’s viewpoint: I have less experience being outside the ivory tower, so I’m a little less qualified to comment on this. But, based on conversations with my freelancer colleagues, I’d say it’s simple: Hey, publisher, pay me what you owe me in timely fashion. WotC was always pretty scrupulous about this, but that wasn’t necessarily the industry standard. RB: A better online distribution, marketing, and delivery system. Realistically, the RPG market is never going to be a major moneymaker again; PC games, console games, and mobile games have been making pen-and-paper RPGs a niche product for years now. (A highly successful release of the next D&D edition may reverse or stabilize that trend to some extent, of course.) That sounds terrible, but really, a good niche is nothing to be ashamed of: high-end boardgames and RPGs deliver an experience that just can’t be replicated in the digital format. There’s always going to be a small but devoted audience for that experience. So, rather than waiting and hoping that somehow people will suddenly get bored with technology and abandon their digital games, I think it would be more realistic and sustainable to figure out a way to make sure that your small but dedicated audience can *see* your products, *connect* with people who share their hobby, and *purchase your product* when they’re ready to buy. These days, that probably means creating a top-notch online retailer that is a community and a destination as well as a retail outlet. It’s technologically feasible, and there are several sites and companies out there that are close to providing that gaming Mecca I’m talking about. The smart brick-and-mortar stores would be plugged into that; they can offer face-to-face networking, play space, and café culture to supplement the online community. RB: These days, I’m publishing a blog with updates every ten days or so, and I’ve got quite a few friends on Facebook. I also attend the occasional con or local gaming get-together. Obviously, when I was with WotC, I was on the clock for maintaining articles like the Rule of Three, the Opening Salvo previews for A&A minis, and other regular postings. I probably ought to put together a Rich Baker website at some point, but I’m just a caveman game designer; your modern world frightens and confuses me. I encourage folks to subscribe. I do talk politics fairly regularly, but I segregate it off in its own header, so if you don’t like my opinions on that front, feel free to skip over that part. RB: I’d say the work I’m most proud of is the work I did in the design and development of 3rd Edition D&D and the 3rdEdition Forgotten Realms product line. Elements of my class, system, and spell design survived all the way through the 3e development process and became industry icons—the notion of super-proficiencies that became feats, the sorcerer, the warlock, as well as elements like the paladin’s smite evil and the barbarian’s rage. There’s plenty of things I did that disappeared without a splash, but when something you came up with sticks around and changes the landscape of D&D forever after, well, that’s a neat feeling. 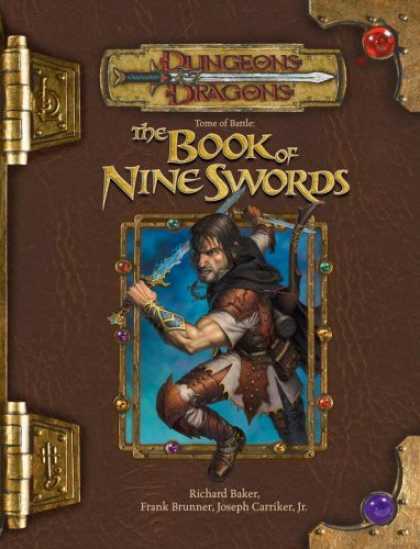 For the Forgotten Realms, I served as creative director for the first couple of years of the 3rd Edition line. 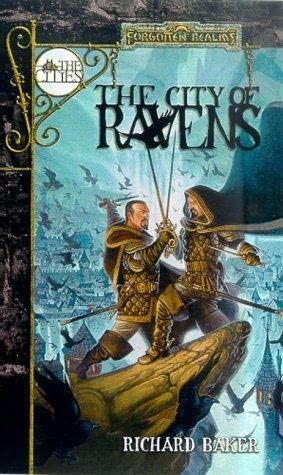 Not only did I help to shepherd the 3rd Edition FRCS along (a very successful campaign setting book), I also had a lot to do behind the scenes with products such as Silver Marches, Unapproachable East, City of the Spider Queen, Lost Empires of Faerun, and Underdark. 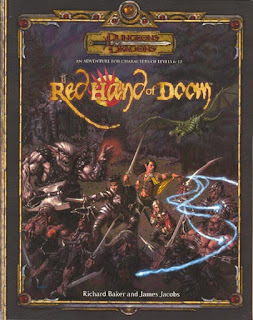 I felt that towards the tail end of 2nd Edition, Forgotten Realms had become a little, well, introverted. We were creating material that rewarded the initiated, and didn’t hold as much appeal for the uninitiated. 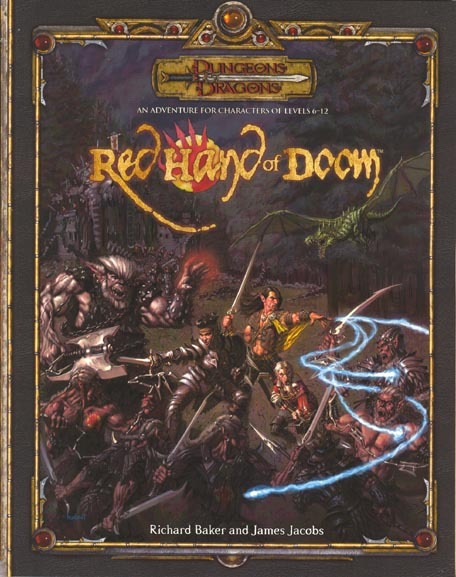 I think those first dozen or so products in 3e Realms brought the setting to a lot of people and provided a great deal of gaming content that was good for both old hands and newcomers. I think Wizards of the Coast is taking some good steps now with the setting, but I’m afraid I can’t say much more than that—I have some insider knowledge that is still confidential. It’s not exactly what I would do, but it’s a much better and more sustainable long-term direction for the setting. RB: To be honest, I never really got too hung up on this. I try to build material that is solid on a couple of levels, material that tells a good story with both the mechanics and the flavor. One of the things I really liked about the discussions we had about D&D Next (before I parted ways with Wizards) was the creation of a philosophy about things like searches and negotiations—if a player is engaged enough to narrate the exact right course of action, the game should tell the DM to let that character succeed. For example, if a player says, “I’m checking the desk drawers for hidden compartments,” and that’s where the hidden compartment is, well, maybe you ought to give it to him. If the player says, “I search the room,” with no more details, that’s where you ask for the roll. I’m using that idea in my current 3e hybrid campaign. RB: A warlord or marshal. I’ve always liked playing smart fighters. RB: It’s a little old-school, but I’m a big fan of the Champions system and universe. 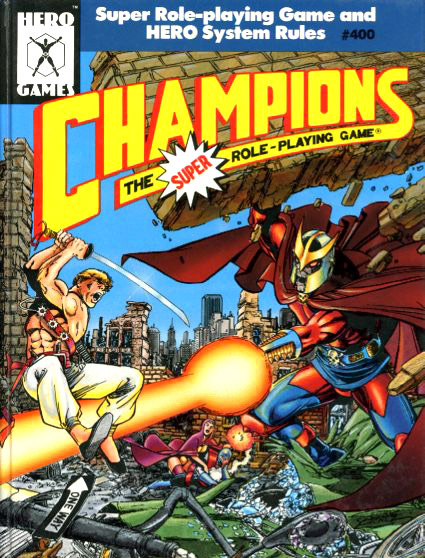 I’ve always loved superhero RPGs, and I loved thinking up character concepts for that game and making them work. Call of Cthulhu is a close second. You heard it here folks. Champions: the choice of veteran game designers. RB: An article or pitch that explains how they would have done something different in the game—for example, “I want to create a system that makes weapons work much more historically,” or “Elves aren’t cool enough, here’s the way I think they should be,” or “Here’s my update to the Red Wizards of Thay that fixes all the continuity goofs and finally makes Product X and Product Y both correct.” A pitch that begins with the premise that some part of the game is horribly broken or flawed, and then promises to fix it, is a pitch from a guy with axe to grind. In my experience, a lot of those guys are not going to accept direction easily, and even if they’re right about something being not so good, it’s hard to patch a game that’s already been published. We don’t have an updater or automatic patch like an MMO does. RB: Champions. I can find D&D games pretty easily, but I don’t ever get to play superhero RPGs. 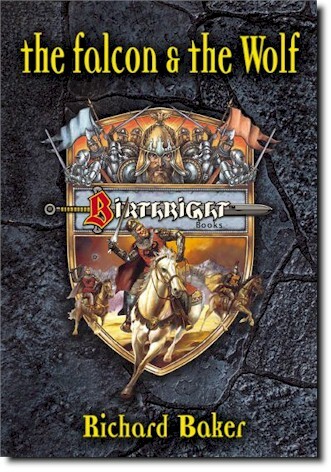 RB: Birthright came out of a competition of sorts, in which upper management invited all of us editors and designers to submit proposals for “the next D&D world.” Many interesting ideas came out of that; I still remember Jeff Grubb’s sky-world and Jon Pickens’ patchwork-world proposals. Birthright per se wasn’t one of them, but notions of a “You are the king” theme were rattling around in several of the proposals, and that was extracted from the collected suggestions and seized upon. So, I was brought on board to be the lead designer with the basic mission statement already settled on: Design a world where the PCs are the kings and queens. That, clearly, was goal number one, and I think we hit that pretty solidly. Birthright, my personal favorite D&D setting of all time. At the time, we had Greyhawk, Forgotten Realms, and Dragonlance game lines running simultaneously, so a secondary goal was to create a world that had a distinctly different feel that the high-fantasy D&D settings that already existed. We decided to create a lower-magic, more-historically grounded setting that would use a lot of familiar elements from our own world to make a moodier, darker, grittier world. Again, I think we succeeded for the most part. In retrospect, I wish we’d left a little more wide-open wilderness to tame: Birthright could easily have addressed the classic D&D trope of building a stronghold, attracting followers, and clearing land for a settlement of your own. I think less emphasis on bloodlines and bloodline powers would have been a good idea, too – the “you are a king” bit was enough of a hook, we didn’t need to include special powers for your royal bloodline too. And I think that the awnsheghlien are pretty hit-or-miss; I like the idea of unique monsters, but we went to the well of tragic downfall a few too many times. Some of them could have just been unique monsters. RW: You and Colin McComb designed the boxed set for Birthright and the setting of Anuire. If you could design Birthright (the core boxed set) again, what would you do differently? RB: Ironically, I’ve just been looking at Birthright for the first time in many years. If I could do it over? Well, in terms of realm rules, I think I would give Sources and ley lines to primal casters like druids or shamans, not to wizards. I’ve been playing around with an idea that wizards use Artifacts as a time of holding, and that there are a very small number of Artifacts in the setting—there are temple and law holdings in just about every province, but an Artifact holding is more like one or two per realm. I think I would also try to emphasize more conventional adventuring in the setting; the Ruins of Empire book spends a great deal of time and space providing data about what regents are where, but it doesn’t say much about where the adventure is or how the DM is supposed to employ that information. Finally, I think I would try to move a lot of realm management into roleplaying—make it less about the numbers, more about the characterization and interaction. RB: Roger Moore played the wizard-king of Alamie. He discovered the realm spell for making undead legions and went berserk, hurling his bony hordes at every kingdom around him. It turns out that taking on three kingdoms at once is never a good idea even when you’re an arch-necromancer. RW: Was Blood Enemies developed separately from the rest of the line? The tone and style of that book seem distinctly different from other Birthright books. RB: In a word, yes. The author was Dale “Slade” Henson. Slade was assigned to work on the book more or less at the same time that Colin and I were finishing up the boxed set, and simply was less plugged in to what we were trying to do and the mood we were trying to set. RW: To be honest, I’ve always felt that the Rjurik Highlands felt the most “odd man out” of the published regions. What are your thoughts about the Rjurik Highlands — what was your vision and goals for that region? RB: The tricky thing about the Rjurik is that we were striving to create a society that was Viking-like, and at the same time had strong druidic or almost Native American elements. I wanted something that could draw from old Celtic culture, Picts, Saxons, and of course Danes and Vikings, and wind up somewhere around Cimmerians. It was a difficult combination and didn’t quite come together the way we would have liked. This book was released to read for free online. Go read it! Ironically enough, 4th Edition D&D eventually nailed down the kind of idea we were groping toward when it examined the idea of various power sources and came up with the primal source, shared by druids, barbarians, shamans, and what-have-you. If I had had that tool in my design toolkit back in 1994, it would have been the exact right tool for describing why the Rjurik culture is fundamentally different from the other nationalities: It’s the part of Cerilia where people are tuned into primal power, not divine power. That would have been an interesting distinction—some semi-civilized Rjurik domains where the rulers and the big cities acknowledge temples, and some more barbaric ones that cleave to the old ways and stick to the forest spirits. RB: Sure! Time permitting, of course. I could build a pretty good 3e or 4e setting guide for Birthright. In fact, when D&D Next comes out, there are some tools in the toolkit that would probably work very well for describing the Birthright setting. Although to be honest I would have a hard time resisting the urge to tinker under the hood. Excellent interview. 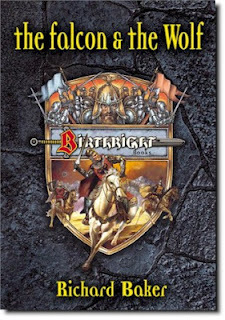 I am just starting with Birthright and I was wondering where The Falcon and The Wolf is free to read online? I clicked the link but it just seemed to be the cover art. I’m a techno-nincompute so please forgive me if I am missing the obvious. Ah, I wish I knew which edition of Champions he prefers. You too! Excellent interview with my favourite WotC designer – and a really good novel author also.